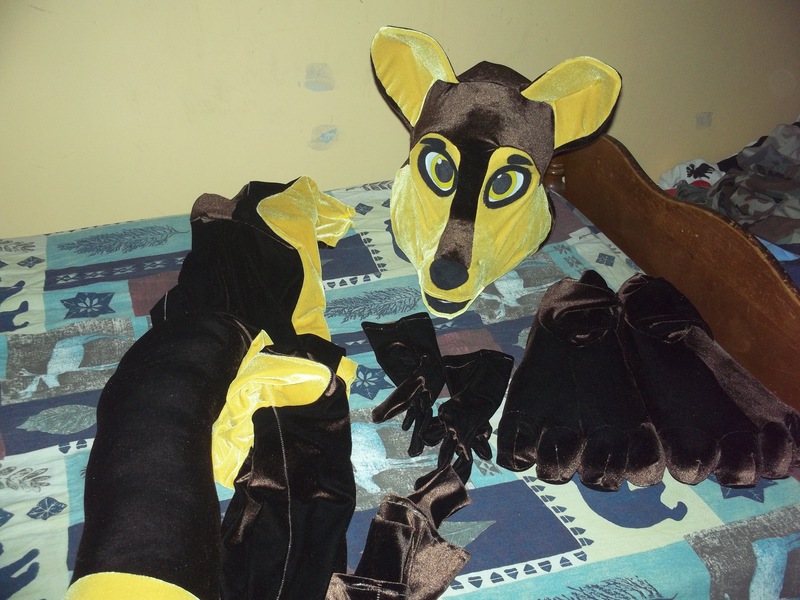 Characteristics: A form-fitting stretch fursuit. Overheating is not an issue. Tail is attached to main body. Notes: Worn with baggy swim trunks with pockets to hide naughty bits and carry ID and keys. Yet to be worn beyond home base.